I’ve spent at least an hour a night with my 87-year father over the last ~6-years collecting his memories for my storybook. Dad grew up in Stratford, CT, and has shared his memory of his hometown during the Great Depression and World War II. Dad’s father, my grandfather, was friends with Igor Sikorsky, the entrepreneur who designed and developed the first helicopter. My grandfather, and father, attended the first helicopter flight upon invitation. 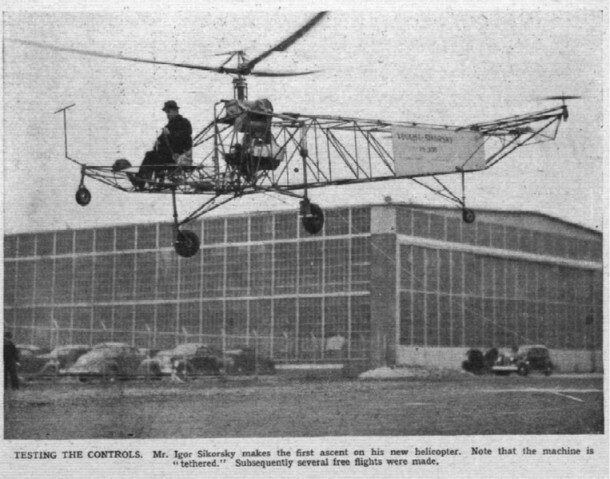 The concept of a vertical take-off was unheard of at the time, and Dad said that no one even knew the word “helicopter.” Yet, when Igor Sikorsky piloted his invention for lift-off for a few seconds, the man, and his company, made history. The picture above was splashed across the pages of the local newspapers. On my Mom’s side, I’ve relied a lot on a family album that my grandmother made for me. My mother had two older brothers, Ernest, and George. Both served in World War II, but Ernest was MIA, and presumed dead in the Philippines. 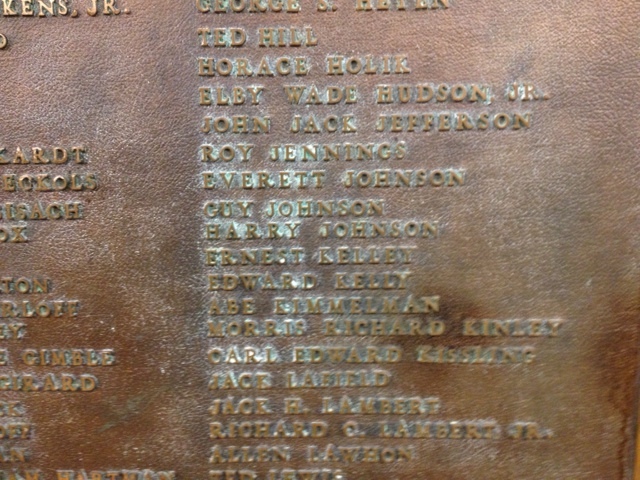 My grandmother had recorded that Ernest’s name was engraved on a World War II memorial at Brackenridge High School, in San Antonio, TX. I have no reason to distrust my grandmother, but was it possible that the memorial doesn’t exist, or that Ernest’s name was never added? Again, I decided to take the extra effort to confirm the information. I decided to call the high school, and inquire whether anyone could confirm the information. I had absolutely no expectations, as I figured high school administrators had a lot more important things to do than deal with someone who was investigating their family history. I figured that my best hope would be for my request to be handed off to a history club student. Instead, the nice lady who answered the phone referred me to the head of the Jr. ROTC department. The Department Head, a retired Army officer, not only listened to my request, but confirmed the existence of the memorial and my Uncle’s name on it. He even took a picture and sent it to me! I hope other memoir writers find as much pleasure in research as I have. The “extra mile” of fact finding is highly rewarding, and fun at at the same time.